Reduce loading time of your shop in optimal way with this full page cache! 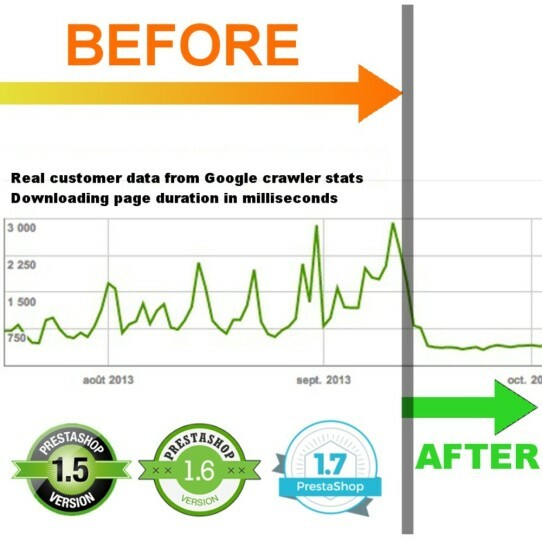 Go from some seconds to some milliseconds and get more happy users! 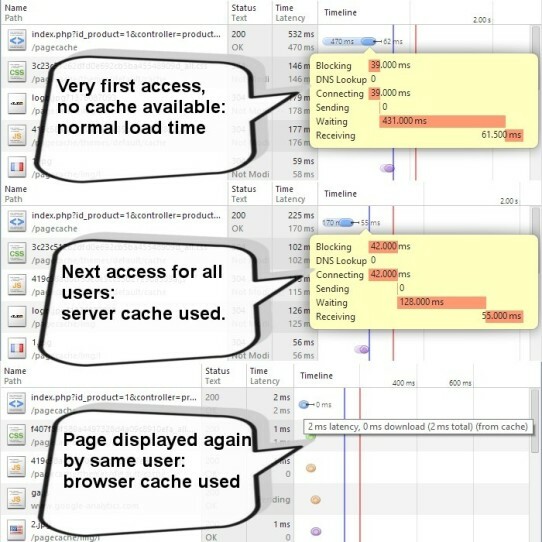 The strategy of our module is to cache the whole page so browser cache can be used and it's extremly fast! Already installed on more than 1000 stores! Several studies show that, the more your site is slow, the more netizens want to leave and not return. This is directly related! Since 2010 the position in search results of Google (and probably other search engines) takes into account loading time of pages. This means that if your site is slow, Google may place your page to lower positions and let the first ones to the fastest sites that may be your competitors. Cache decreases consumptions of CPU, RAM and database connections so you can choose a lower pack or you can decrease resources allocation in your hosting provider. Modules that depends on user informations can be displayed with ajax request, you just have to configure this in module configuration page. Cache is refreshed when you do modifications in backoffice. You can tune this as you want. A table display the 100 most viewed pages of your site and shows you the cache hit percentage. This percentage represents resources consumption that this module save you. Saves time and provides ease of navigation that will allow users to view more pages and products, and give them confidence to make their selection.